For all the online poker players who think that they are protected behind their computer screens, think again! 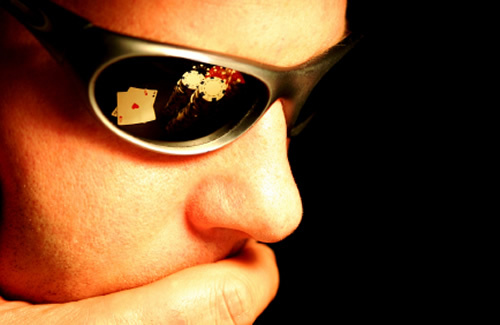 Just because your opponents cannot see you, it does not mean that they cannot read your online poker tells. For all the online poker players who think that they are protected behind their computer screens, think again! Just because your opponents cannot see you, it does not mean that they cannot read your online poker tells. But do not despair; you can learn to read online poker tells so that you have the upper hand when you play poker at an online casino in the UK. Here are some of the most common online poker tells that you will come across while playing online poker –try to identify which ones you tend to display so that you can work on concealing them better in the future! Having a delayed response time: If you notice that the other player is taking a rather long time to play, it may be because he does not know what to do. This could happen if your previous play had put him in a very difficult position. However, this does not mean that he is unsure of his next move because he has a marginal hand. Most likely, a delayed response will be because the player has a really strong hand, and he is trying to figure out what move will get him the best outcome from such a strong hand. Therefore, if the other player delays their play and then raises you; this is usually bad for you as it signals he has a strong hand. Underbetting or overbetting the pot: Now here is where the difference between live and online poker playing comes into play. In a live poker match, if your opponent overbets or underbets the pot, you would not usually think of this as something to pay attention to as it is likely that he or she has simply lost track of the size of the pot. However, in online poker this is a rather reliable tell –and your opponent’s play will tell you something about the hand they have. What exactly overbetting and underbetting means for different players will vary so you will need to keep tabs on how the games unfold. But possible meanings include that they have a strong or a weak hand. The quick call: If the other player calls super quickly it is pretty clear that there was not much thought that needed to be given for that play. It is likely that your opponent may have small pairs, as if he or she had larger pairs or big cards, they would have at least considered a raise. These quick, insta-calls are often seen before or after the flop. These are only a few of the betting patterns that you might notice either you or your opponents using. It takes a while to be able to identify these patterns in users; so be sure to keep a small notebook with you where you can record observations about your opponents’ plays. This will help you consolidate a good understanding of how they play. When you understand how your opponent plays, you find yourself in a better position to beat them!